Lexus Service and Repair in Holly, MI | Armstead Automotive - Armstead Automotive Repair and Service Inc.
Got a Lexus and live in or around Holly, Fenton, or Grand Blanc? Then roll on in to Armstead Automotive Repair in Holly, where our team of Master-Certified auto mechanics can provide you with fantastic Lexus auto repair! When you’re looking for only the best in Lexus auto repair in Holly, forget the rest--bring your car to Armstead Automotive Repair! 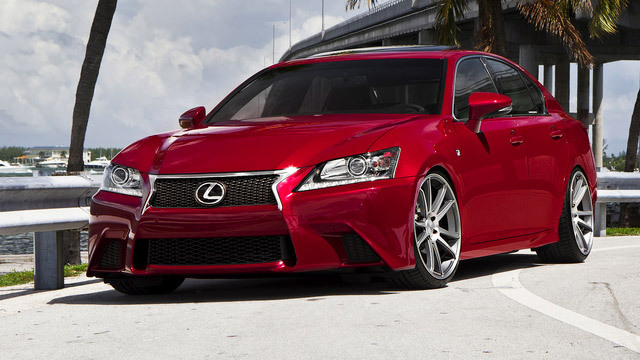 If you drive a Lexus, you are already part of an elite group of motorists who really values the best things in life. And you want to get as much value out of that luxury vehicle as possible. But, did you know that the best way to get a nice long life out of your Lexus is by obtaining regular auto repair and maintenance? Don’t hesitate because of the cost of regular auto repair on your Lexus--over time, a small repair can turn into a large one! “Service was superior. Got an oil change without a long waiting period, Have been receiving maintenance service from this establishment for more than Twenty years. Would not go anywhere else. Highly recommend Armstead automotive.” -- Charlene T.